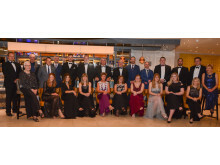 Celebrating 25 years in business, plus a record order book and revenue turnover in 2019, the 30-strong group of employees and their partners took a well-deserved weekend break to reflect on the Verwood company’s achievements. The team also enjoyed a black-tie dinner, with a specially-created anniversary cake. Launched by founding director Barry Fower in 1994, Fischer Panda UK Ltd has grown from a supplier and installer of generators to a leading distributor offering full-system design capability, servicing and aftercare for the marine, military and automotive sectors. In addition to providing the market’s largest selection of marine gensets from RIBs up to super yachts and offshore commercial vessels, the company is also a major supplier of the latest technology in air-conditioning systems, hybrid electric propulsion systems, integrated mobile power solutions and watermakers. Fischer Panda will be at Crick Boat Show, Seawork International and Southampton Boat Show. 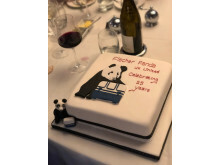 For more information about Fischer Panda UK’s range of products, go to www.fischerpanda.co.uk. 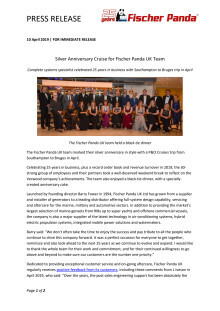 Celebrating its 25th anniversary year, Fischer Panda UK Ltd offers full-system design capability, servicing and aftercare as a leading distributor of diesel generators and a major supplier of the latest technology in air-conditioning systems, hybrid electric propulsion systems, integrated mobile power solutions and watermakers for a variety of commercial and leisure vessels.